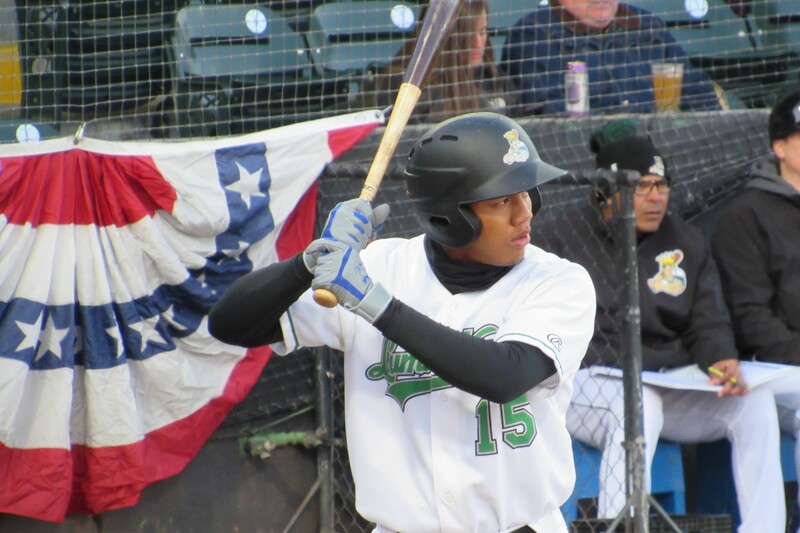 Ariel Sandoval homered twice and drove in four runs to lead the Clinton LumberKings to a 7-2 win over the Kane County Cougars at Ashford University Field on Saturday. Not only was the game Clinton’s scheduled home opener, it also turned out to be the season opener for both teams. Their first two scheduled games, which were to be played at Kane County’s Northwestern Medicine Field, were postponed because of snow (Thursday) and frigid weather (Friday). 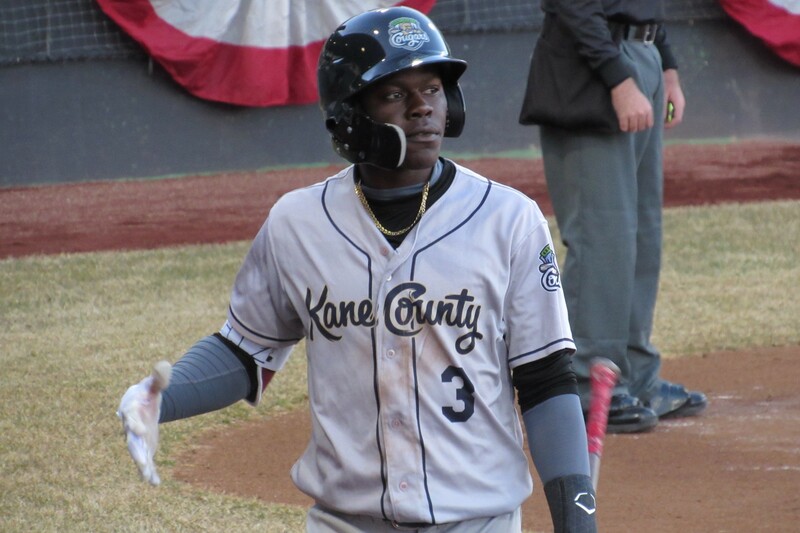 Kane County scored first on an RBI double by Jazz Chisholm in the top of the 1st inning, but ultimately Clinton fans were treated to a LumberKings win supported by hitting and pitching. 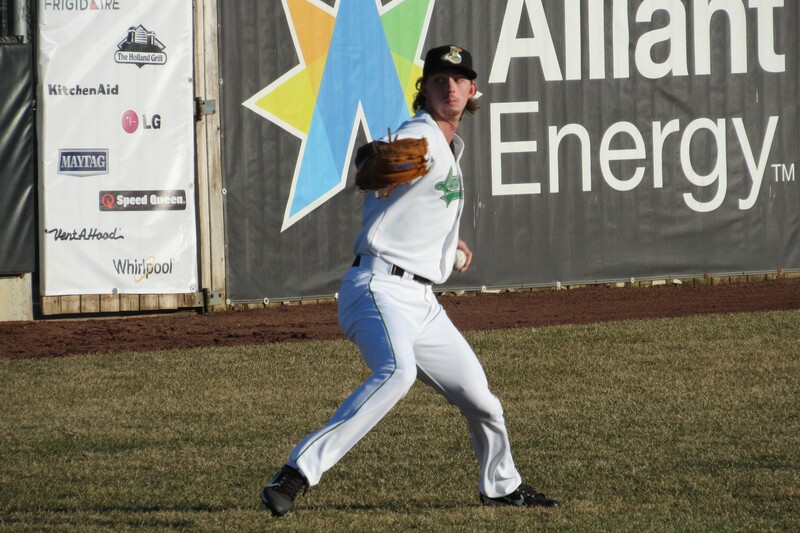 LumberKings starter Nick Wells — who made 43 starts for Clinton in the past two seasons — got the win after giving up two runs on two hits and three walks in five innings. He struck out six batters. LumberKings reliever Clay Chandler earned a hold by pitching three scoreless innings before yielding to bullpen mate Austin Hutchison for the 9th inning. Chandler struck out six, gave up two hits and one walk, and threw a wild pitch. Hutchison struck out one in his perfect frame. In addition to Sandoval’s two home runs, the LumberKings got a long ball from Jack Larsen, who went back-to-back with Sandoval in the 3rd inning. The two teams are scheduled to play a doubleheader Sunday. 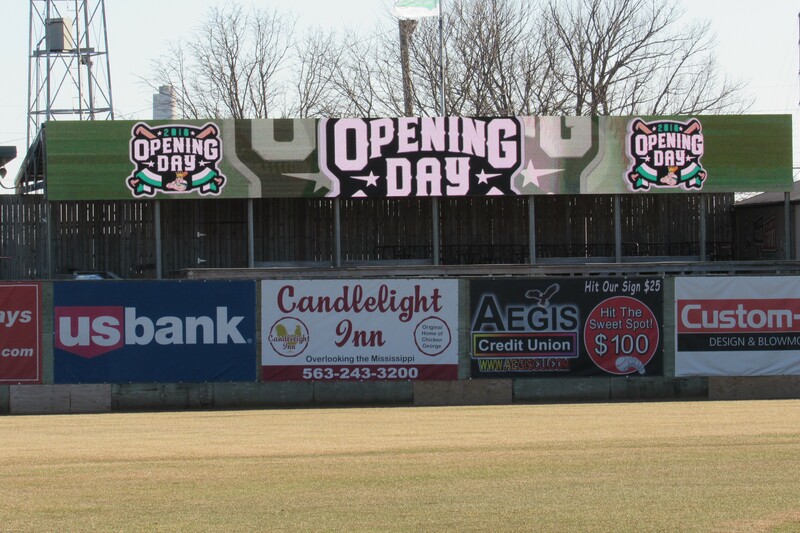 This entry was posted in Clinton LumberKings, Kane County Cougars, Midwest League. Bookmark the permalink.